I love teaching math to my daughters. It’s my favorite subject because there’s always a definite answer. You don’t have to read between the lines to figure out the meaning. It’s just straight-forward for the most part. I don’t approach math with a “this is the only to get to the solution” disposition, but instead I encourage my daughters to use what they already know to help them come to the conclusion. For some topics, this method works, but for others it takes awhile for full understanding to occur. Since I know that having a solid understanding and foundation in mathematics is important, I have developed a recipe for math success in our homeschool. We’ve used BJU Press math for all of my daughters’ middle school years. I choose BJU Press after viewing it at a homeschool conference. I liked the format of the student workbook. The middle school textbooks have more than ample examples for each lesson, and my daughters can refer back to these examples if they become stuck. As their math teacher, I encourage them to review and write notes in their own words to help them better understand the concept. I also appreciate the teacher guidebook because it has teaching tips for the parent which comes handy when I haven’t used a skill in a very long time or when my method doesn’t seem to be working. You don’t have to use the same curriculum that I use, but I do think it is important to have a solid curriculum that you and your child can stick with for a few school years. The consistency of the curriculum can help build confidence and provide clarity especially if you or your child are somewhat apprehensive towards math. I also find it beneficial to have a clear scope and sequence because it ensure that your child has been introduced to most if not all math topics needed to proceed to higher level math. Our chosen curriculum works great, but my daughters do not always grasp the concepts right away. Most curriculum has review built in, but rarely is there enough additional work if it takes the child awhile to fully understand the topic. For instance, my daughter gets stuck when it comes to solving algebraic equations. She understands the concept, but if she goes a long period without seeing it she might forget some key steps or move too fast which causes her to make simple errors. I know this is common for her so I use other resources along with her core curriculum. 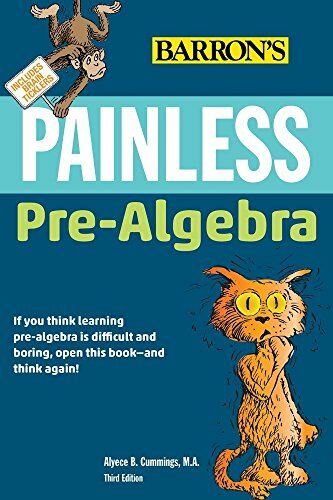 I like mathworksheetsforkids.com because it has worksheets for upper level math including Pre-Algebra, Algebra, and Geometry. Each week I give each of my daughters a worksheet focused on an area that they still need to develop. By using additional resources outside of their textbooks, they can continue to move forward while receiving support in their weaker areas. We also use Evan-Moor Daily Word Problems and The Critical Thinking Co. Mathematical Reasoning. Word and logic problems can be tough, and most math curricula have a limited number of these types of problems in each lesson. Thursdays in our homeschool is dedicated to math and logic work. We all like this dedicated math time because it is different than our normal math lessons and pushes them to use the concepts they’ve learned over the years in a different way. I mentioned it is good to have curriculum for consistency, and I think it is equally good to use other resources to see if the knowledge from the curriculum can be applied elsewhere. 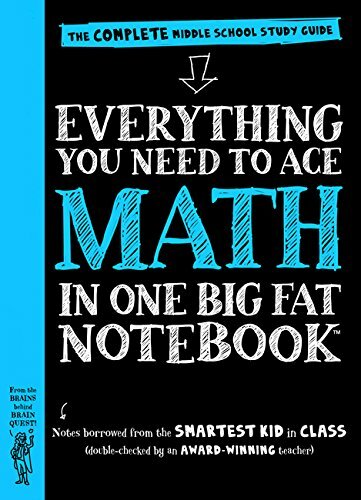 Everything You Need to Ace Math in One Big Fat Notebook and Painless Pre-Algebra are two resource books that are on our shelf. These easy to use books provide access to math concepts quickly. If my daughters forget how to find ratio or some other math skill, they can find the information they need right away. These books are written the learner which means the vocabulary is easy to understand plus there are also examples that provide a visual of the concept. Since not everyone learns the same, I believe having access to different methods is important. When I think about what I really what my daughters to academically, math is always on the top of the list. It is an area that many children and adults shy away from, but with these three ingredients for teaching math I have noticed my daughters’ apprehension for more difficult concepts is slowly dissolving.